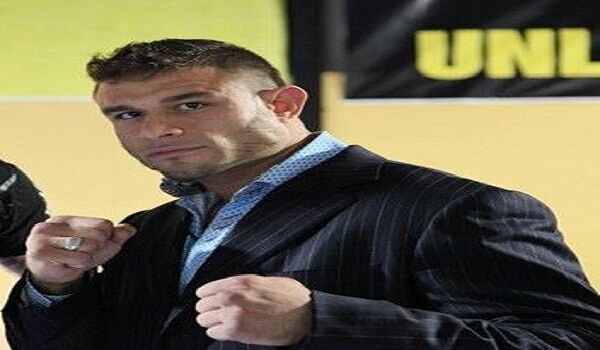 Christian Defiris is President of the New York amateur MMA promotion, Extreme Cage Fighting (ECF) and is also an undefeated amateur fighter, holding titles in PKF NY State Kickboxing, Muay Thai, and Sport Jiu-Jitsu, as well as being the East Coast Kickboxing Champion and an All-State Wrestler. 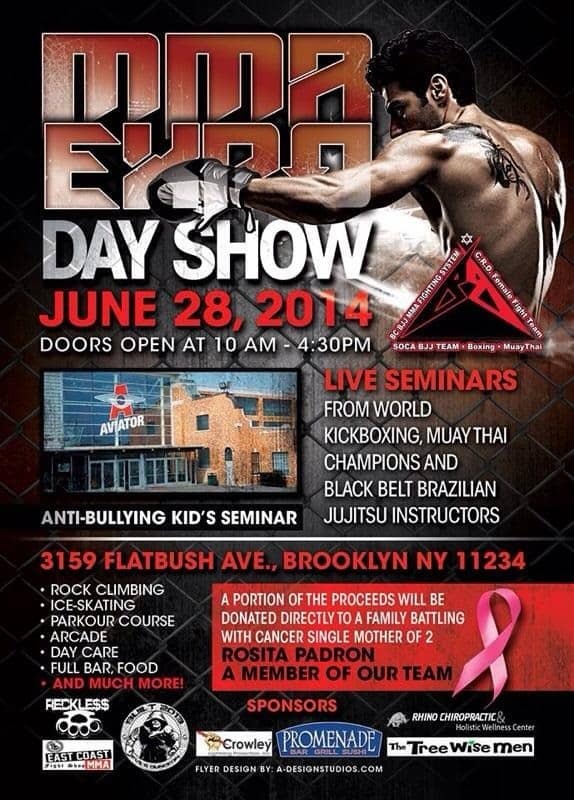 ECF will be hosting it’s first event on June 28th, 2014 at the Aviator Sports and Events Center in Brooklyn, New York. The event consists of an MMA Expo from 10am – 4:30pm, which will include live seminars in striking from world champions in Kickboxing and Muay Thai, grappling seminars from black belt Jiu-Jitsu instructors, vendors selling merchandise and gear, along with many other interesting activities. 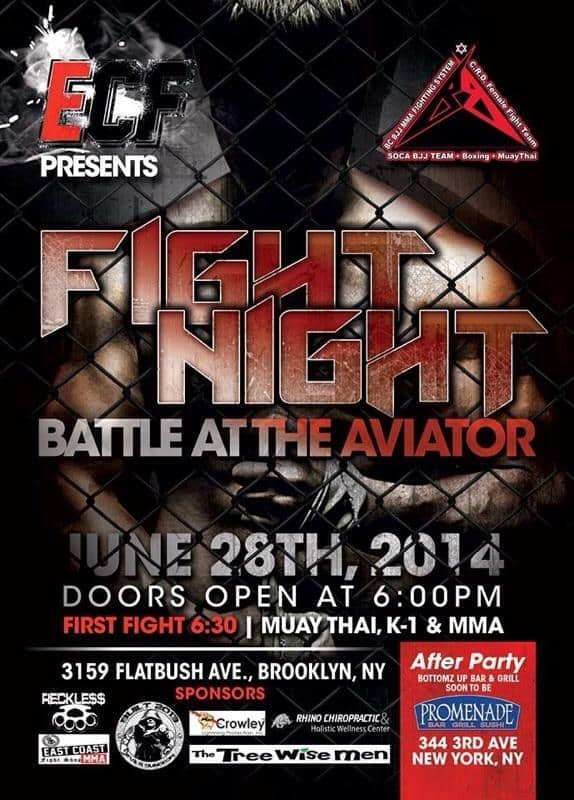 Following the Expo, ECF will be hosting Fight Night: Battle at the Aviator, which will entail amateur MMA, Kickboxing and Muay Thai fights, doors will open at 6pm and the fights will kick off at 6:30. I recently spoke with Christian about the event, his new promotion, and his martial arts background. Check out the full interview below. Tell me a bit of your back story, when did you begin training in martial arts and what was your first discipline? Well, I grew up in a rough neighborhood in the Bronx, so I kinda got into the whole defending myself, street fighting, you know? I wouldn’t consider that a discipline, but that’s kind of how I got into it. Then I started working out and training when I was about, let’s say 14, 15. I got thrown out of class one day and got sent to the Dean’s office and the Dean was the Wrestling coach also, and he looked at me and goes “you look like you’re a tough guy, huh?” Then he says “alright, you have two options, either go try out for the Wrestling team, show me what a tough guy you are, or you have in-house suspension for a week.” So, I chose to try out for the Wrestling team, and it really straightened me out and the rest was history. I wound up going 5-5 my first year, undefeated the next two years in a row. Then I took the city’s and was most valuable wrestler in New York City, went to the state’s, placed in the state; was a walk-on, got a scholarship to college, University of Buffalo. While that was all happening my step-father was studying with Renzo and Rodrigo Gracie, so I was in and out of the gym, doing a little Jiu-Jitsu too. I was exposed to that, I loved it, I love wrestling, I love Jiu-Jitsu. On a side note, my biological father was a boxer, so whenever I would see him growing up he was always taking me to boxing, so I was also into that. But I got into Muay Thai training and sparring in 1999; I mean, I’ve been doing this my whole life man, on and off, I’ve been studying and training straight through and competitively non-stop, every single day since 2008. Beginning as a wrestler, and getting into Jiu-Jitsu early on, do you feel like grappling is your base? Do you feel like you have a base, or no? A few years ago I would’ve said grappling was my base, but I won two Kickboxing titles, one state and one national and I won a New York State Muay Thai title as well, so because I was so relying on my grappling growing up, I dedicated two and a half years of just competing in Kickboxing and Muay Thai and I was undefeated doing that, so I’m pretty well-rounded. I love all martial arts and I love training all martial arts, I love it all, I could roll any second of the day I guess, but I mean I love it. I just got done sparring now with BCMMA for the day, it was awesome. Just wondering, I was looking at your Sherdog and it says you’re 1-0 as an amateur, did you only fight once in MMA, or is it just not updated? Oh no, it’s just not updated. Yeah, I have 18 amateur fights in total scattered between MMA, Kickboxing and Muay Thai. Did you ever fight professionally? No, unfortunately I’ve acquired so many injuries and when I was about to go pro I had two elbow surgeries. It’s not out of my future, but it’s definitely on hold right now because I’m still recovering and the doctors don’t want me competing for probably another six months. Being that you’re a fighter first and foremost, did you always dream of having your own promotion, and if not, what made you realize that you wanted to do this? Honestly, growing up I always wanted to be UFC champion obviously, unfortunately when I first started training the UFC wasn’t popular and MMA was illegal. So I wound up doing a lot of other things, being side-tracked, then when I was in my 20’s it became super popular, so I kind of got back into it then. I’m older now, I’m in my 30’s, I’m 33, so acquired injuries, I’ve had two elbow reconstructive surgeries, I’ve had torn ligaments in my ankle and my knee, I’ve broken my thumb four times, I’ve had steel plates put in my hand, boxer’s fracture, I’ve had over a hundred stitches in my face, so acquiring all of those injuries and wear and tear. My last injury is what did it, I’ve been injured for the past year and I’ve been helping out all of these other promoters and co-promoting on their shows, and not to talk badly about anyone, but I’ve always felt I could put together a better show. I’m a fighter, I’m a martial artist, I’m an MMA fan and I thought that there could be more effort, I didn’t like a lot of the matchmaking, so rather than complain about it, I decided to just make it better and start my own organization and everything that I’ve ever thought was poorly done, do it better. Normally, you don’t see many organizations doing expos along with the shows, where did you get the idea to do this Brooklyn MMA expo? 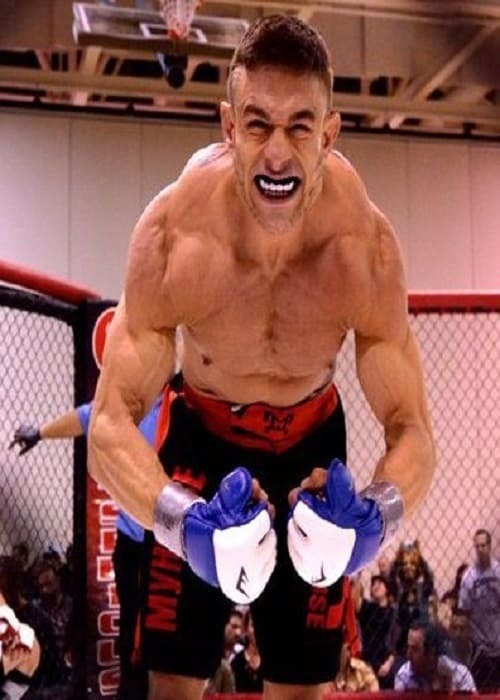 Again, just being a fan of MMA, being in the industry for so long, and just being around different clothing designers and MMA distributors and different sponsors and sponsors that have sponsored me, I just thought it would be cool to give something back to the community and also generate some positive feedback. I’m doing an anti-bullying seminar, I think that’s important to teach the kids that MMA isn’t about fighting and it’s not about picking on people, you use martial arts as discipline and you use martial arts to defend yourself and defend people you care about. I just wanted to do something for the family aspect, for people who didn’t want to go see live cage fights, or thought that that part was a little too brutal, I want them to see a more peaceful side of it, more family oriented, learn to train and defend yourself. So I’m going to have different seminars going on throughout the day and different vendors selling clothing and equipment and stuff like that. Also, one of my students unfortunately has brain and lung cancer right now. So I thought it would be a good way to reach out and generate money for her and her family, I’m donating part of the ticket sales to Rosita herself. I just thought it would be something new, something different and a good way to use the space for the day. That’s really a kind thing to do for her. Lastly, what are some of the goals for the future of your promotion, do you want to keep it amateur, are you looking to eventually put on pro fights in the future? What are you thinking? I’d love to do a professional show in New York, but unfortunately it’s illegal. But what I’m trying to do is hopefully do these amateur shows as close to a professional production as possible and once professional MMA is legal then I’ll probably do both. I’d still want to keep my amateurs working on a very high-level show, maybe I would do a mixture, where the first half of the show is amateur and the second half of it was pro. Go to ExtremeCageFighting.org for more information.